Akiyuki Kawaguchi is a twenty-seven year old engineer from Japan. 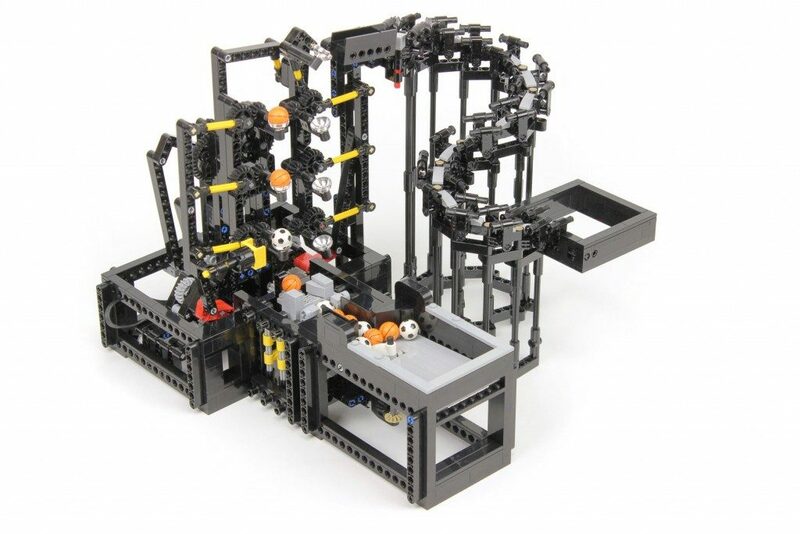 He is well-known for his clever Great Ball Contraption (GBC) modules and sorting machines. 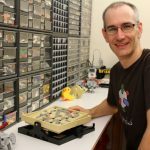 He uses mostly LEGO Technic and MINDSTORMS in his creations. He has over 100,000 subscribers on YouTube. 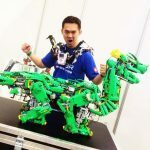 His work has been featured on LEGO Technic’s social media channels, including in a Blocumentary. 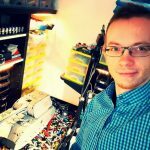 I started playing with LEGO when I was just 2 years old. I started playing with Technic at age 8. My first Technic set was the Tribuggy (set number 3000). It is a very simple set with 24 pieces that was distributed with Kabaya sweets in Japan. What I found interesting was the use of a rubber band to give the trike suspension. 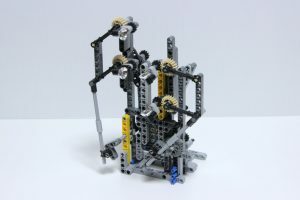 After building this set, I became a fan of LEGO Technic. Now, playing with LEGO is my hobby. I first saw a Great Ball Contraption (GBC) on a YouTube video for in 2008. I was very impressed by the mechanisms for carrying balls. At that time, I was still a school student and I thought that the GBC would be just right for the showpiece at my school festival. So, I proposed a GBC layout for the festival. My classmates and I executed the plan, and our GBC showpiece received praise at the school festival. This was the start of my interest in designing GBCs. 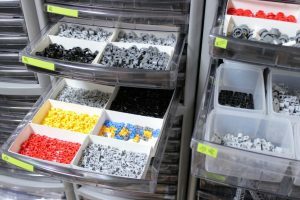 I have built many GBC modules, sorting machines, and robots. However, I concentrate mostly on developing GBC modules. 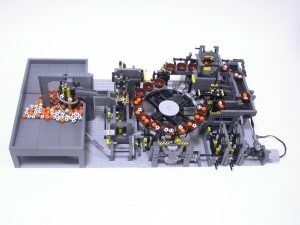 Ball Factory is one of my most referenced modules and probably my favorite. I like the very complex mechanism of this module. I am often inspired by real-world industrial machines. For example, strain wave gearing is a reduction gear used for industrial purposes. I wanted to utilize the concept of strain wave gearing to transport balls. This resulted in my Strain Wave Gearing GBC module. Sometimes a particular LEGO brick inspires me. As a result of trying to incorporate the element, I end up with a new GBC module. The YouTube video below demonstrates the strain wave gearing. For developing GBC modules, at first, I make a rough prototype without any concern for the appearance and strength. I am more concerned with the main mechanism of the model. Then, I improve the design and strength with the goal of creating a satisfactory final model. On the other hand, the frame and input and output parts of the module are made without making a prototype because, I use already established rules for making these parts in my GBC modules. I do try to remember to record the building processes with photos and videos, but I didn’t do so for my early models. I find it enjoyable to go back and look at my progress after I have completed the final model. However, I admit that I often forget to record the development processes when I am concentrating my attention on building the model. I have a lot of unfinished models because they either have a technical problem, or are not attractive enough. However, the unfinished models do not go to waste. Unfinished models contain useful techniques which will be applied to future models. I appreciate that many people watch my videos. I’m encouraged and motivated by their comments and evaluation of my models. I enjoy all the modules I create. Instructions or videos for many projects are available online. I hope you copy the work that you find inspiring, even if they seem difficult. Overcoming the difficulties in trying to recreate an existing model will train you so that you will be able to solve technical problems when making your own model. Regularly used parts are organized by their shape and color into cases placed on one side of the room as shown in the photograph. Other parts are put together into a net bag. 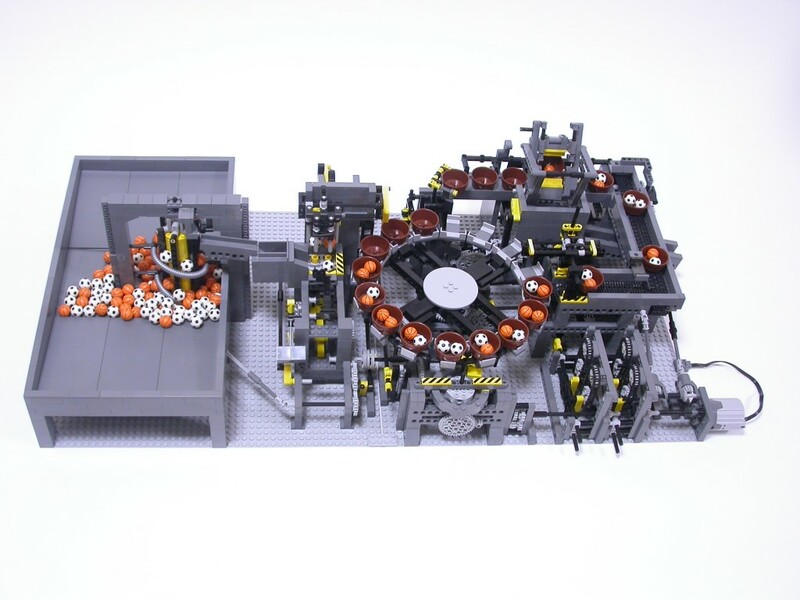 You can always build yourself a sorting machine to sort your elements! 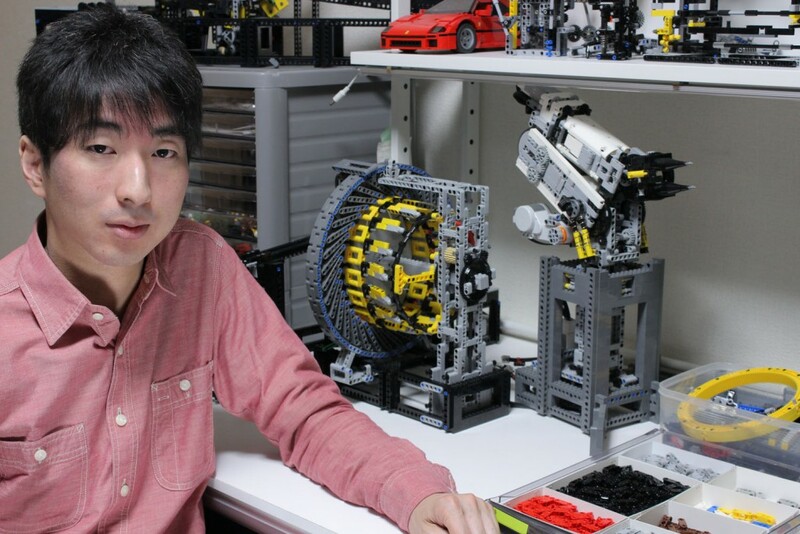 Visit Akiyuki’s YouTube channel to see all his videos. To see multiple modules working together, watch this video. You can learn more about his work on his website.